On the Canary Island La Palma, unexpectedly, there is a lot of water. Some of this water ends up in the Cascada de Los Colores, a small waterfall of red, yellow, and green streams. 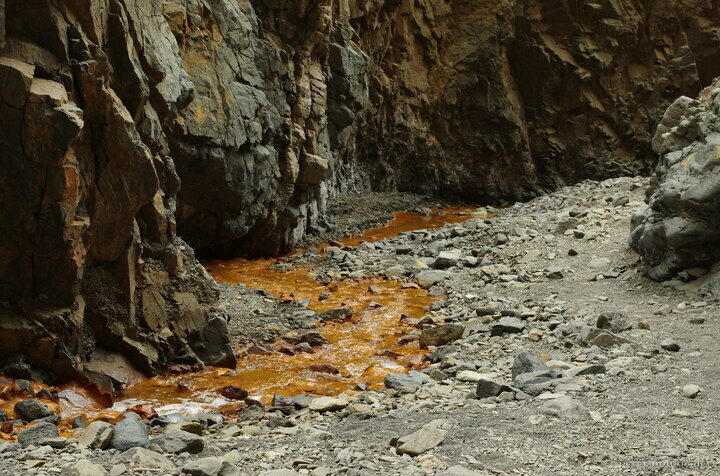 Soon the stream becomes mostly red, stays like that for a while, slowly turns into yellow, as other, clear water connects to it, and in the end, it fades into ordinary water.